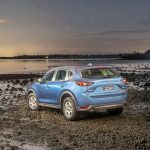 The all new for 2017 Mazda CX-5 is a medium SUV that did not need a major overhaul for continued success. 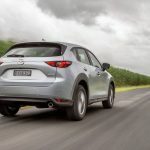 Even as the outgoing model – first introduced in 2012 – was nearing the end of its life, it was the best-selling SUV in Australia, ahead of the Toyota RAV4 and Prado, Nissan X-Trail, Hyundai Tucson and Mitsubishi Outlander – all strong selling vehicles themselves. Mazda’s formula of sporty styling and driving experience gives it a standout identity, while the all-new model, released early in 2017, adds sleeker styling, new safety features, more refinement and equipment. 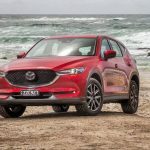 So what is it about the CX-5 that draws so many Australian families in? And, is it the right car for your particular requirements? 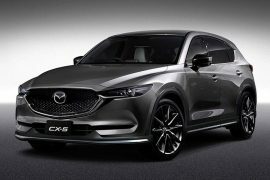 The CX-5 is 4450mm long, 1840mm wide, 1675mm tall, with 2700mm between the front and rear wheels. 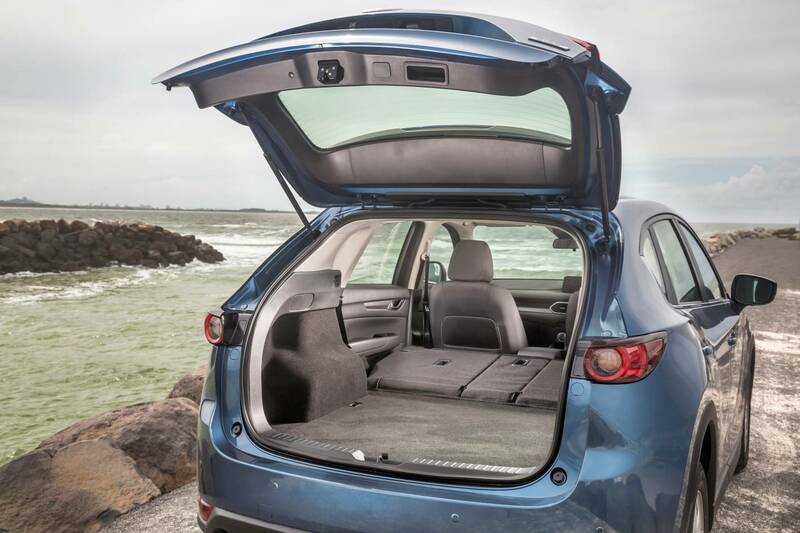 There is 442 litres of boot volume to stow items, which grows to 1342L when the second row of seats is folded down. The seats fold almost flat, but there is no mechanism like Honda’s ‘Magic Seats’ so they don’t sit completely flush. The spare tyre is of the space saver variety, which is not ideal. 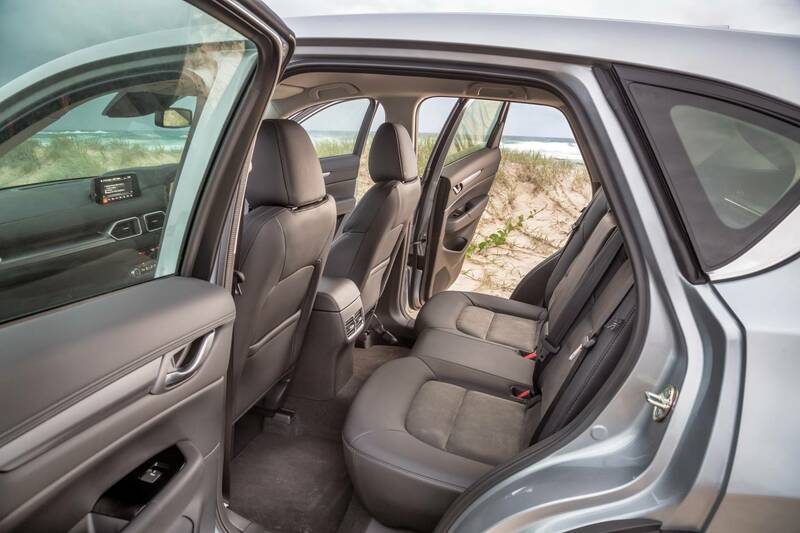 Room for front and rear passengers is more than adequate, with five large adults able to fit without too much squeeze. The addition of rear air vents rights one of the few wrongs of its predecessor. 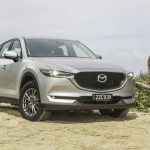 Mazda’s MZD Connect system is standard across the range, with a colour touch-screen and a rotary controller that sits readily at hand near the radio volume/power knob down on the centre console. It is a revelation in terms of how easy to use and relatively distraction free it is. 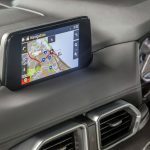 Variants equipped with satellite navigation also enjoy speed camera alerts, which are also on the head-up display of the higher grade Akera and GT models. 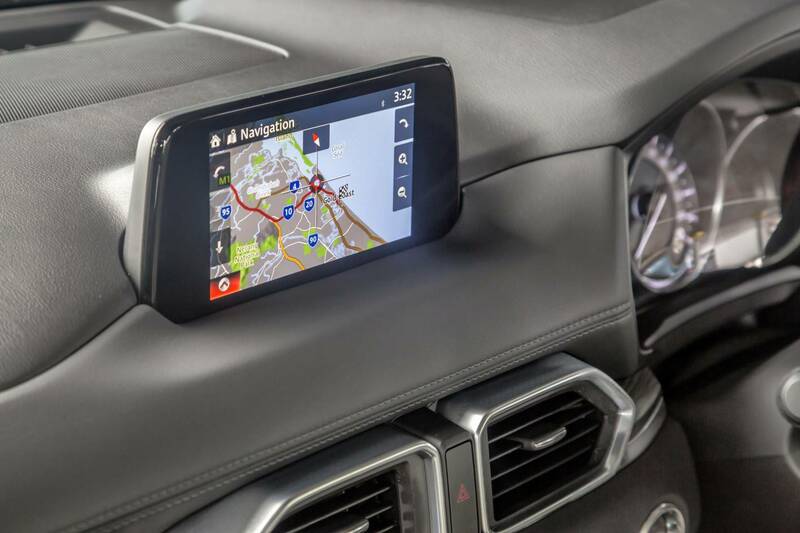 Those vehicles also have a handy digital speedometer which is conspicuously absent on lower grades. Stereo quality is impressive from Bose speakers with no perceptible distortion at high volume and nice solid bass from the subwoofers (when so equipped). 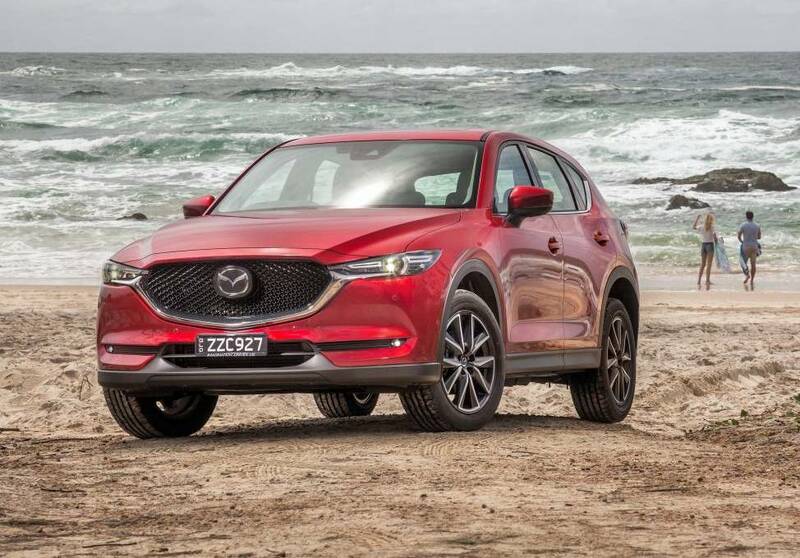 Design is obviously a subjective thing, but we’re sure you’ll agree, the sharpened up CX-5 definitely looks the part in this specific segment. 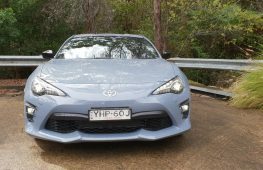 The pointed front end and low-profile headlights, with wide and thin taillights, all giving it a sporting impression. It looks like it’s moving fast even when standing still. 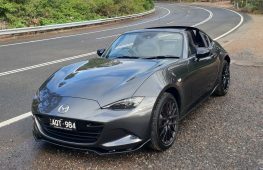 It’s the result of Mazda’s latest “Kodo – Soul of Emotion” styling philosophy. 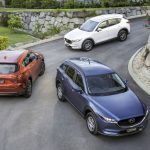 The new CX-5 comes with three engine choices, depending on the variant. 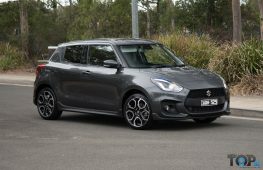 Opening up the range is the $28,690 Maxx (auto is $2000 extra, standard on others), with a 2.0-litre, 114kW, 200Nm petrol engine. 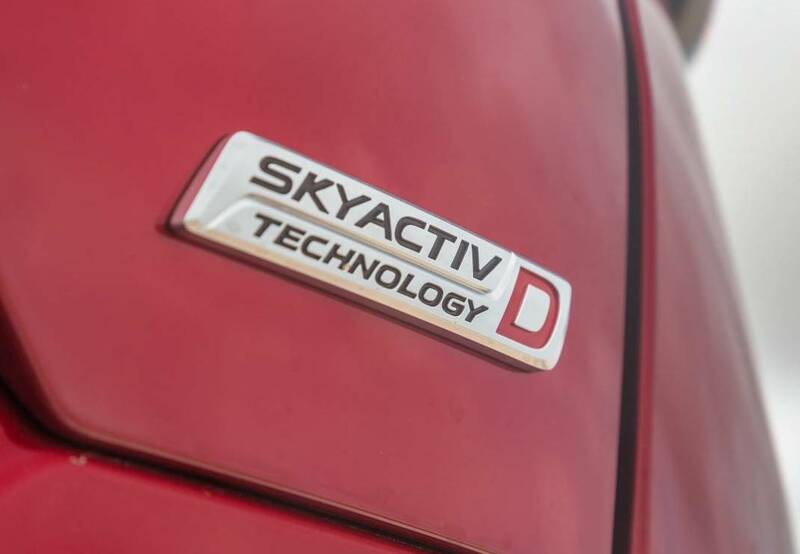 Higher up in the range, a 2.5-litre engine can be had on all-wheel drive models, with 140kW and 251Nm. That combination is good for a quoted 7.5/100km (8L/100km as tested) and a timed 0-100km/h time of 9.31 seconds. 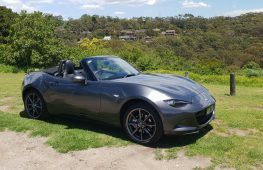 Throttle response is much crisper than many other new cars in this price range. 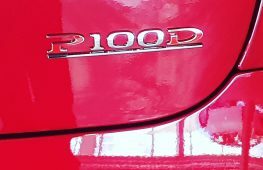 For those who prioritise fuel efficiency, a 2.2-litre turbo-diesel, generating 129kW and 420Nm, promises economy of 6L/100km. 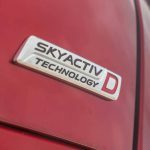 As the Mazda3 is set to adopt Mazda’s groundbreaking SkyActiv-X engine in 2019 with 30 per cent more fuel efficiency, we expect it to proliferate to other models, especially the CX-5. 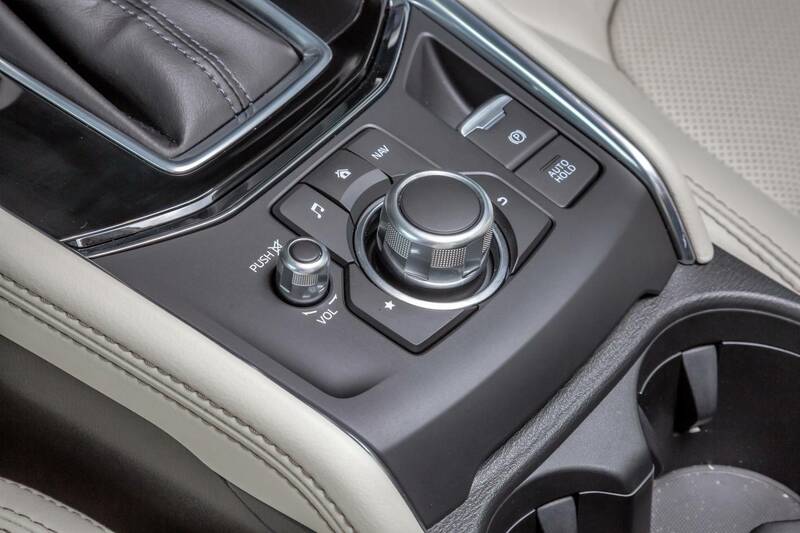 CX-5 customers can pick between a very slick six-speed manual on the base 2.0 Maxx, or a very intuitive six-speed automatic on all other models. 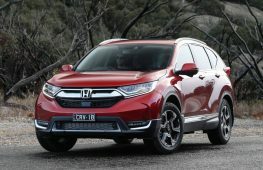 The auto is smoother than most rivals equipped with dual-clutch gearboxes while not suffering the rev-hang of CVT – such as in automatic rivals including the RAV4 and Nissan X-Trail. Providing only six ratios is about the only reason we haven’t given it 10 out of 10 here. 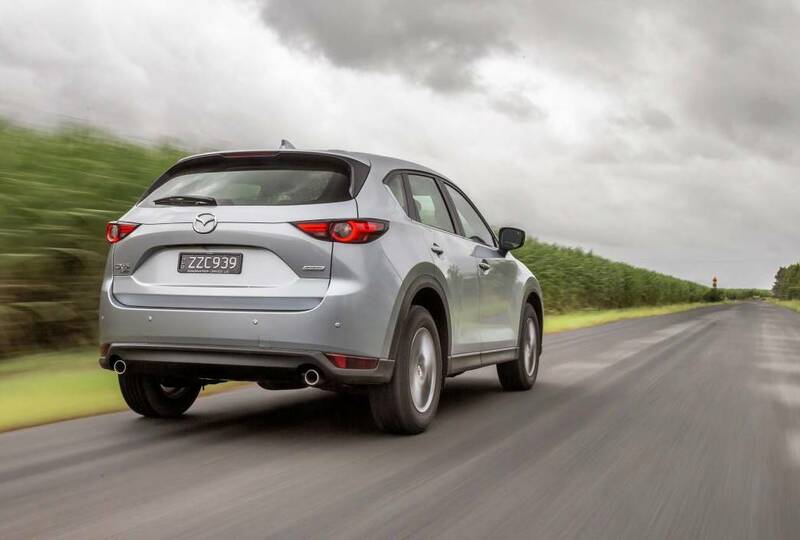 Compared to its rivals, the CX-5 always feels more agile, car-like and fun to drive. 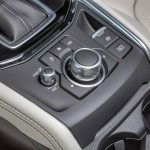 That sense of connection remains with the new model, and is actually improved thanks to superior isolation of steering kickback and noise pathways. Another addition is ‘G-Vectoring’, which uses yaw sensors to brake individual wheels for the smoothest possible cornering. It’s very subtle but you can feel it. 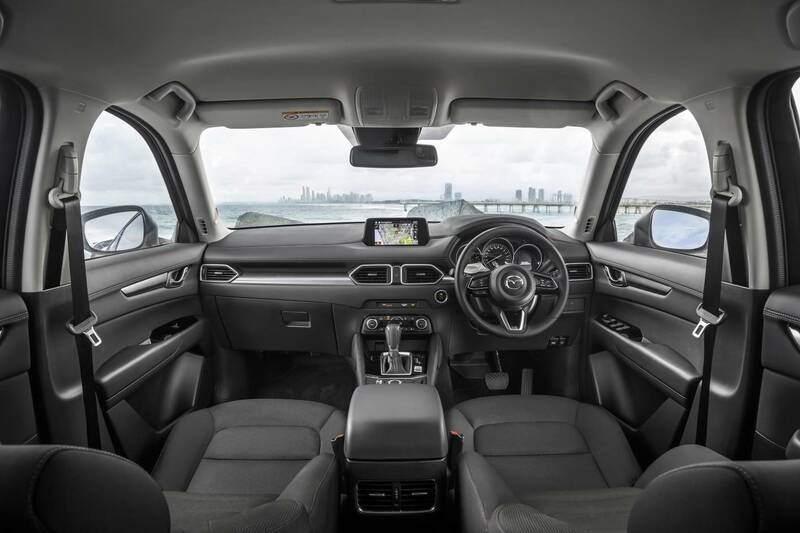 Accurate and direct steering via a sporty three-spoke wheel, combined with the effortless engine response make for an exceptionally well balanced and enjoyable drive (for this segment). The previous generation CX-5 was oft-criticised for not being compliant enough at low speed and being too noisy in the engine department. 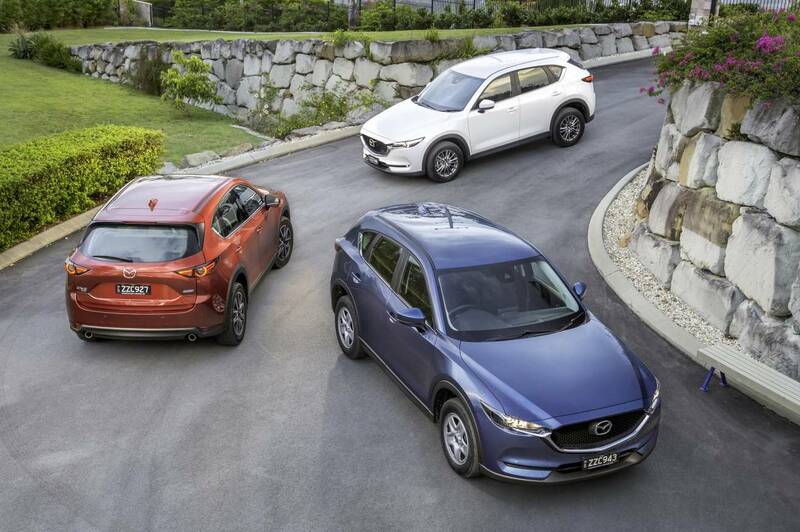 Thanks to things like carpeted wheel wells, thicker padding on the interior and more carpet insulation, the new CX-5 has more of a grand tourer level of refinement picked up from its bigger brother, the CX-9. The engine noise has been suppressed somewhat but the 2.0L in particular still produces some racket. 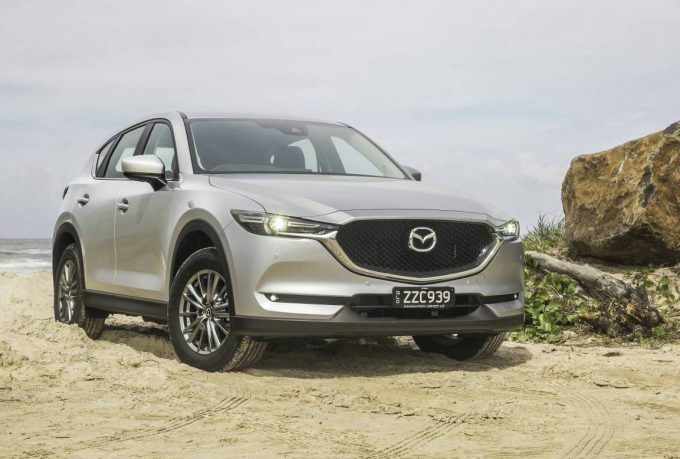 Official fuel efficiency numbers range from 6.0L/100km for the 2.2-litre diesel, to 6.5L/100km for the 2.0-litre front drive manual, to 7.5 for the 2.5 AWD. 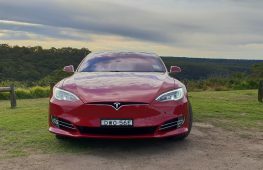 These ratings stack up reasonably well with the competition, although higher than some of the turbocharged European rivals. 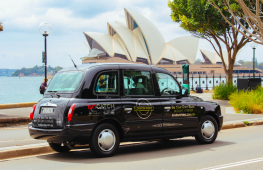 Servicing is capped between $304 and $333 per visit depending on which of the 10,000km intervals. 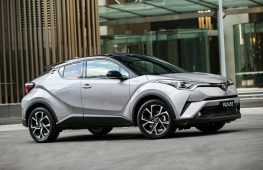 In terms of warranty, the three-year/100,000km jobbie is industry standard, rather than the over-and-above five and seven year efforts of Koreans Hyundai and Kia, respectively. A five-star ANCAP rating is standard across the range, with rear cross-traffic alert, blind-spot monitoring, autonomous emergency braking front and rear all very handy inclusions. 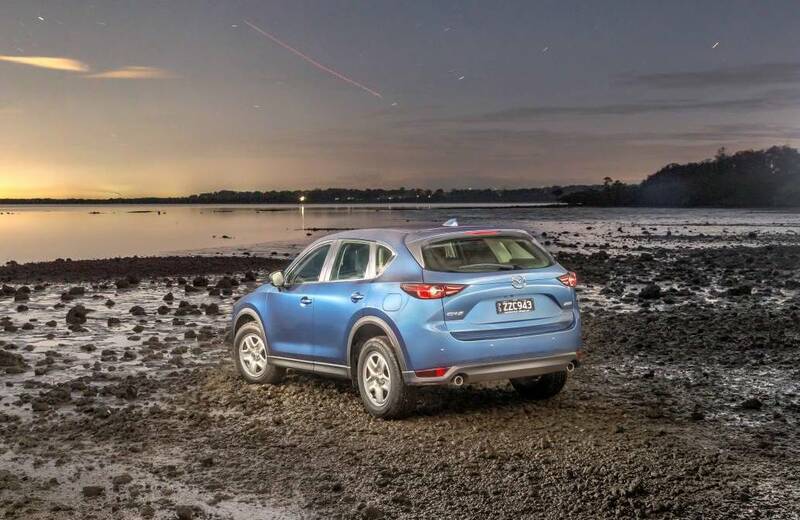 Higher up models add Mazda’s i-ACTIVESENSE tech such as radar cruise control, side camera, a higher level of AEB, lane departure warning and head-up display. 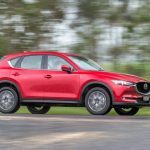 All CX-5s have a decent level of safety and infotainment features, with the higher grades offering all the extra technology not too much of a stretch, in our opinion. 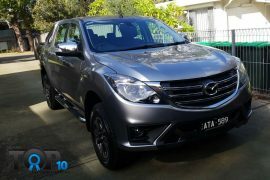 Overall, starting prices range from $28,690 and up to $49,990 for the top Akera diesel. 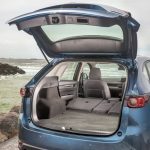 About the only area the CX-5 falls short is with seat count. 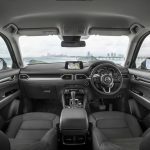 The Nissan X-Trail and Mitsubishi Outlander, in this segment, offer seven seats in some models, slightly boosting the value and buyer appeal. 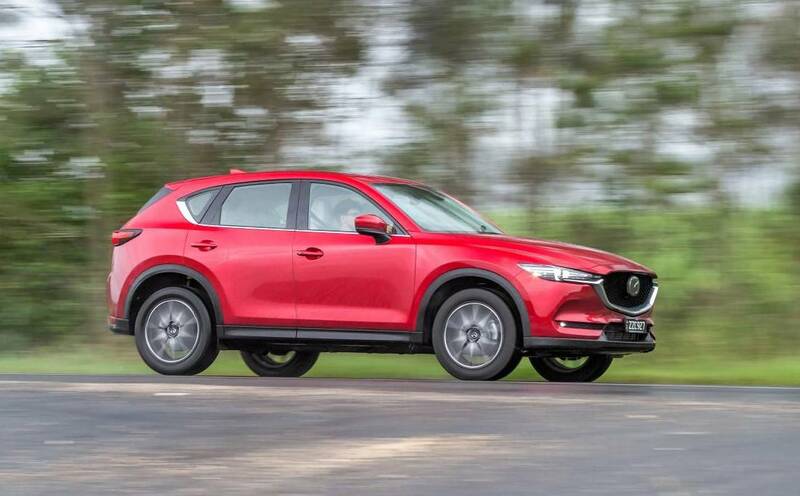 The 2017 CX-5 is not perfect by any means. 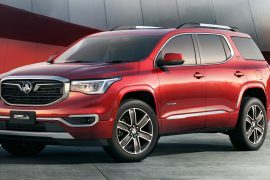 It is probably not the plushest SUV out there, but there are major improvements in this area. 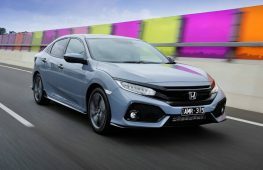 It is definitely the most engaging to drive, with a user-friendly infotainment system, impeccable safety repertoire and great value for money. If you’re in this space, we encourage you to at least take one for a quick test drive to see what you think.